Doug Mehaffey spent twelve years as a herpetologist at the Fort Worth Zoological Park and The Central Florida Zoo. He returned to university classes to earn B.A. in Anthropology at the University of Central Florida and then a M.A. in Anthropology at Northern Arizona University. 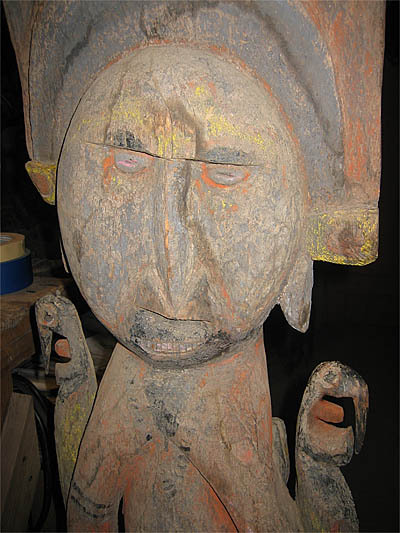 He participated in four years of fieldwork in Peru with the Moche Foodways Project, specializing in the reconstruction of early cultural materials, especially pottery. He moved to Tucson in 1999 and began to work with Ron and Carolyn. 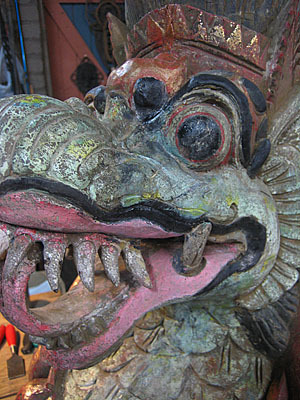 This allowed him to travel, learn, and extend his practice of art repair and restoration. dk.mehaffey at yahoo.com for further information on his restoration services. 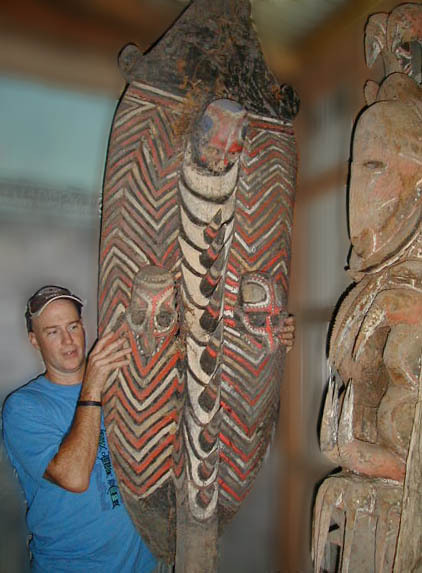 Figure 1: Doug evaluating a private collection in Papua New Guinea. 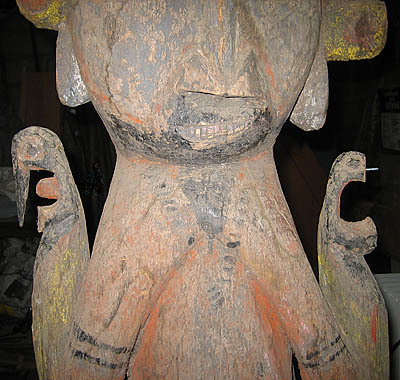 Figures 2-4: Ablelam statue before, during and after Doug's restoration of the missing bird beak. 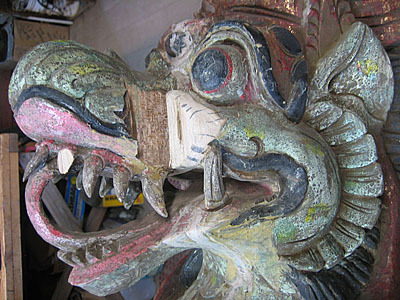 Figures 5-6: Bali statue before and after Doug's restoration of the missing section of the face.